This tasty lentil soup emerged from basic ingredients and commonly used spices that I had on hand for an impromptu dinner party the other night. As you might imagine, not everyone present had the same body type, or constitution. Dining with mixed doshas can pose some challenges.. how do I cook something yummy and satisfying that will leave everyone feeling balanced and satisfied (and asking for the recipe)? 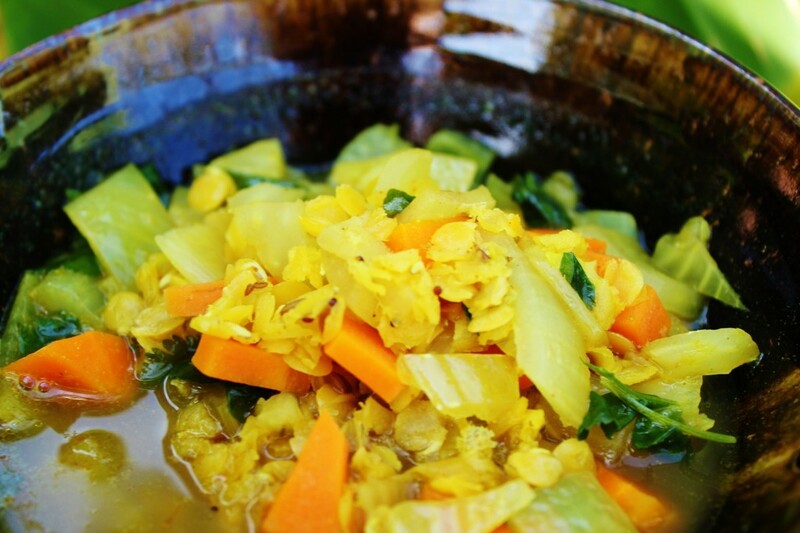 Ayurveda calls a meal that is good for all doshas “tridoshic”. The key to creating a tridoshic meal is to include all 6 tastes (sweet, salt, sour, bitter, pungent, and astringent) so the meal, and thus the person, is well balanced. Including each taste in a meal feeds our mind, body, senses, and spirit in such a way that curbs unhealthy cravings and over-consumption. When we are done with the meal, we leave satiated, and without any signalling from the brain to seek out something more (typically sweet or salty). There are also some foods that are by themselves are tridoshic. Foods such as rice, mung beans, fennel, green beans, and peas are balancing for all mind-body types. 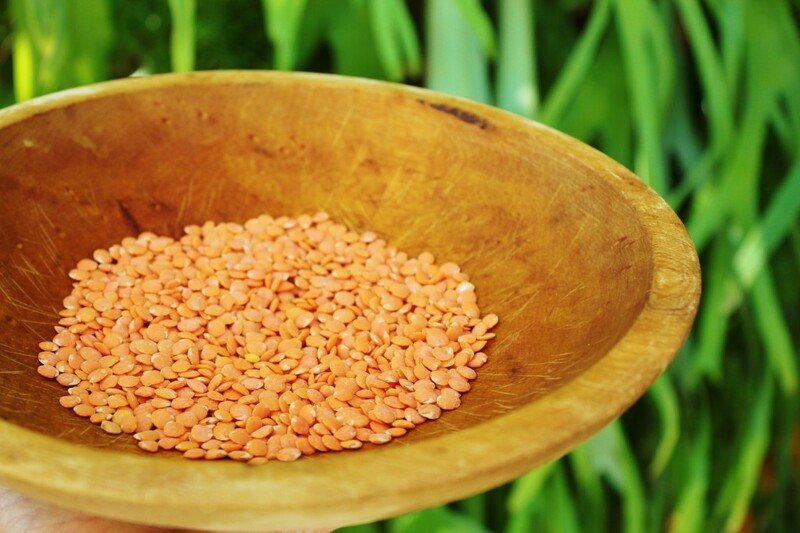 Red lentils are known for being easy to digest. Another bonus is they don’t need to be soaked, just give them a quick rinse and pick out any stones or misshapen beans. 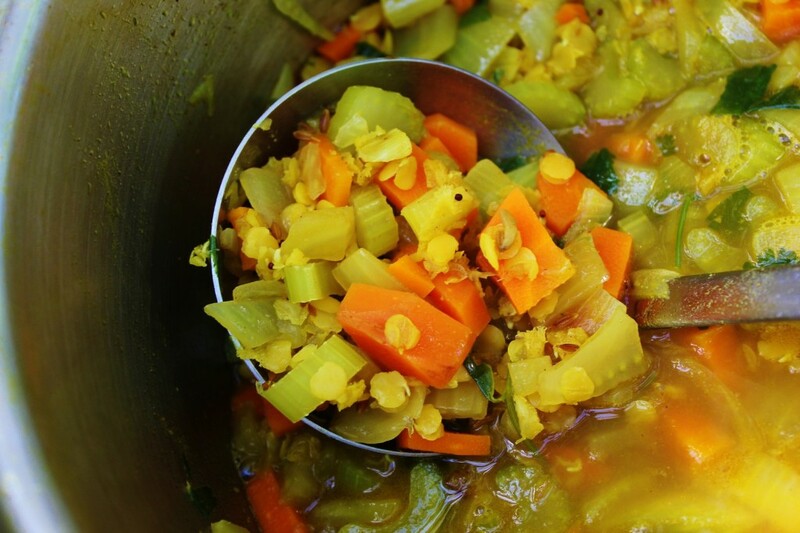 The tridoshic lentil soup that follows below would be a great meal for the whole family or a group of friends. Serve it with basmati rice or toasted whole grain bread with a smear of ghee. In a saucepan over medium heat, melt the ghee. Add the lentils, fennel, and carrot and then gradually add the water or stock, stirring constantly. Bring to a boil over high heat, reduce the heat to low, cover partially, and simmer for 20 minutes. Add in tomatoes and lemon juice. Continue simmering until the lentils are very soft, and vegetables well cooked (~10 minutes). Remove from the heat. Season with salt and black pepper to taste. Serve warm and Enjoy!